George is so excited to go visit his friend Rami’s school! 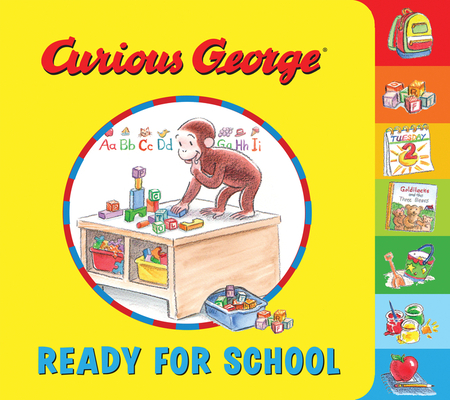 George packs a banana snack and is ready to have an adventure. And what an adventure school is! Between Circle Time, outdoor play, and the many toys and crafts, George is one happy monkey. But can a curious monkey make it through the whole day without getting into any trouble? Young kindergarteners and preschoolers-to-be will get a sense of what a day at school is like, helping them, too, feel ready for school.